For March (yes I know it’s May), we moved further North to San Luis Obispo County home of some of the best vineyards in California. As you continue North on the 101 and over the Questa Grade, the temperatures rise and the vineyards become dominated by Zinfandel, Syrah, Grenache, Rousanne, and a few dozen other Rhone and Bordeuax grapes. 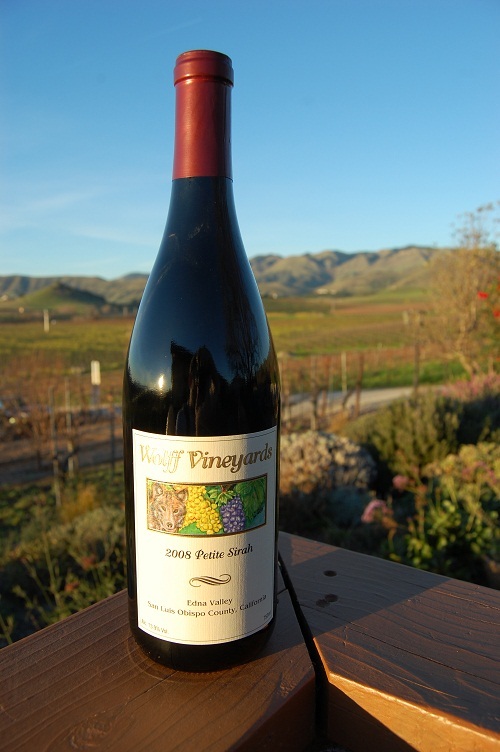 Paso Robles, about 30 miles North of San Luis Obispo, has built a name producing wide range of styles and varietals, a fact that is reflected in its diverse group of growers and styles (Tablas Creek, JUSTIN, Barrel 27. A March trip to the area is also detailed here). In all, we tasted a lot in March and will be splitting some of these wines into April’s group (again, yes I know it’s May). For now, here is a partial sampling of San Luis Obispo for March. I am always excited to try wines from SLO County. There is so much variation here, from brilliant to mediocre and worse. The best of the producers here find company with the best in the World and they are getting better. This somewhat unorthodox rough and tumble wine region is in many ways my second wine home and am always proud to represent it. We have sellected two wines from the group above as stand outs. One was completely new to us, and one, while were are very familiar with the producer, was our first time tasting the varietal. Ironically, in an area known for Burgundy wines and cool climate Rhone (Edna Valley), and an area praised for Rhone wines (Paso), both winning wines have their roots in Italy. For sake of full disclosure, this wine was one of a few sent to A Long Pour for sample. This fact however, had no bearing on the outcome of my choice. Bad free wine is still bad wine after all. This wine stands up on its own, it has to to be here. We love wines that challenege us, but in the same way, we love wines that bare it all and are easily approachable (if everyone in the World was a John Malchovich it would be a scary place). 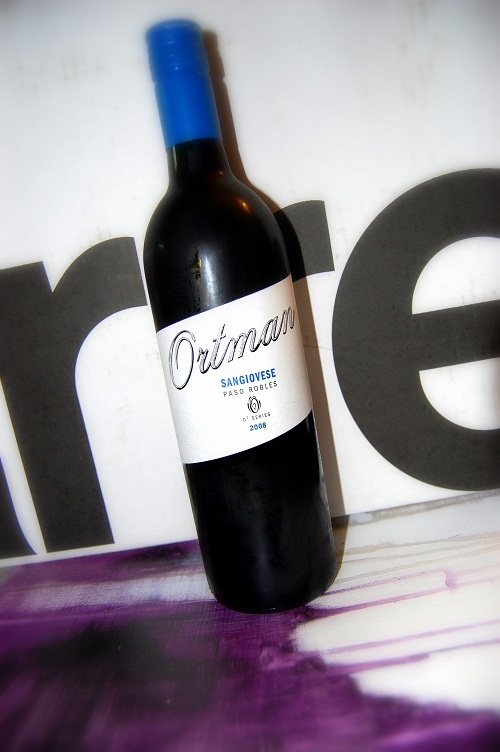 The Ortman O2 Sangiovese was not a hard wine to sum up. Simple looks that we liked, beautiful inviting nose that we liked, great fruit and acid balance that we liked, and that allure of Sangiovese, that “we don’t drink this much but we should,” factor all made this choice an obvious one. 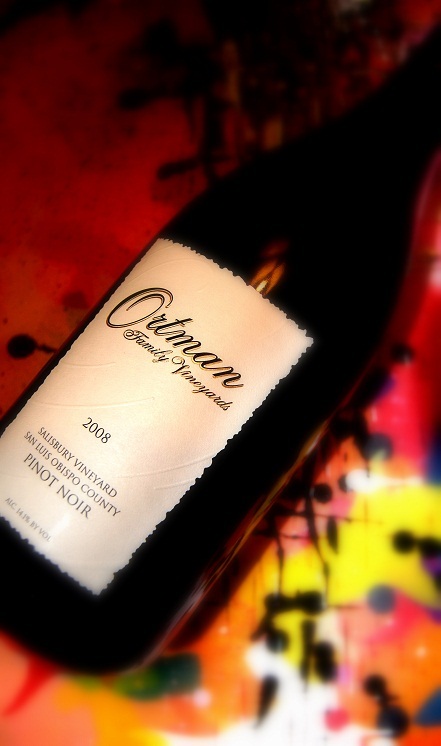 For all of these reasons Ortman was a stand out wine and at about $20 a bottle it is a smart buy. On the white side of the force, we went with our good friends at Tablas Creek. An obvious choice right? Well, not really. We are huge Tablas Creek fans, who have been very good to ALP over the past year, so we knew going into this they would be strong candidates for one or more wins (there is still next month). But they, like everyone else had to earn their spot and the final choice was not the obvious one. An obvious choice would be the Cotes de Tablas Blanc, but what really grabbed us was the Vermentio. Known in the Rhone as Rollo or Rolle and in Italy largely as Pigato (and sometimes Favorita), this is a white that hails from the Medeteranian, specifically Italy. A late rippening white that is crisp and vibrant, it was everything a white should be, at least to us. It won becuase we loved it, it won because we love Tablas Creek, and it won because we had never had Vermintino before. We are excited to see how this white stacks up to the other whites later this year. So congratulations to Ortman and Tablas Creek! Next month, we go deeper into Paso Robles wines as we look at even more Tablas Creek offerings and many others!